Face it, there are a lot of essential oils to choose from. So, how do you know what the best one would be for you? Perhaps you were drawn to essential oils because you were looking for help with your emotions, or for feelings of anxiety, stress or even depression. There is no exact answer to what essential oil will work for you, although there are many favorites that people share. Ultimately, it is going to come down to your own body chemistry and intuition about what oils resonate with you. Here is a simple metaphor to help you understand in real easy terms how the oils may work for you. Essential oils can come from these different parts of the plant or tree. Each of the parts metaphorically can help you understand how you might use them to balance yourself. Roots and Stem: This is the supportive structure for the plant, as well as how it draws its nutrients. Essential oils that come from the roots, stem or trunks (especially our oils that come from trees) have the energy of grounding and being supportive. 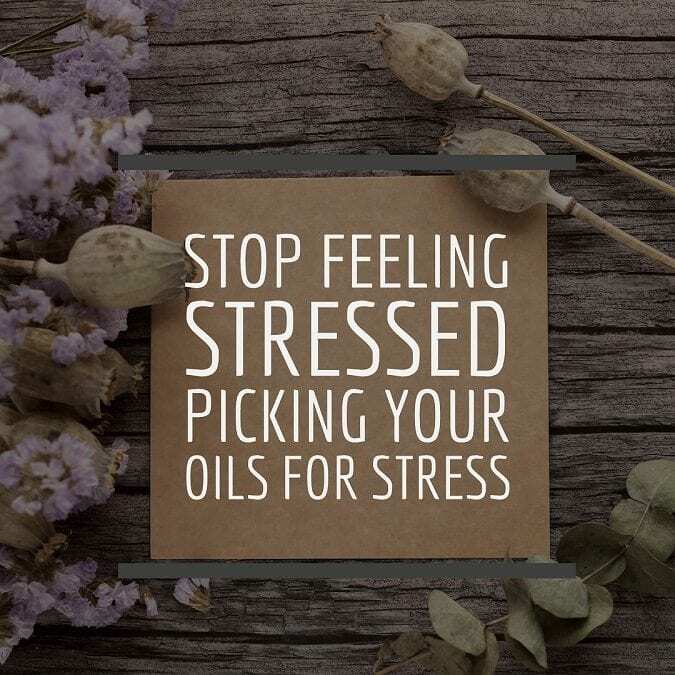 When your stress or anxiety comes from being overwhelmed, worried, too busy, or a monkey brain oils that are grounding and balancing will help to reduce this type of stress. If you are feeling unsupported or insecure, these oils will also help to balance those feelings. Leaves are necessary for oxygenation and the life of the plant, as well as the air we breathe. So the leaves can be seen as what connects us to life and others. If you are stressed by relationships or interacting with others essential oils from the leaves of the plant can help balance these feelings. Also if you try to control life and circumstances this cause’s great stress, so these essential oils may resonant with you. Flowers are connected with the reproduction of the plant. Metaphorically we connect to flowers when we are celebrating either a birth or a loss. When someone needs to feel consoled, encouraged, inspired or more loved, essential oils that come from the flower are going to help balance these feelings. The function of the fruits, berries and seeds it so protect and disseminate or propagate. Metaphorically this speaks to the need to feel safe, inspired and uplifted to grow and flourish. Essential oils that come from the fruit, berries or seeds will help uplift, inspire and brighten the mood. 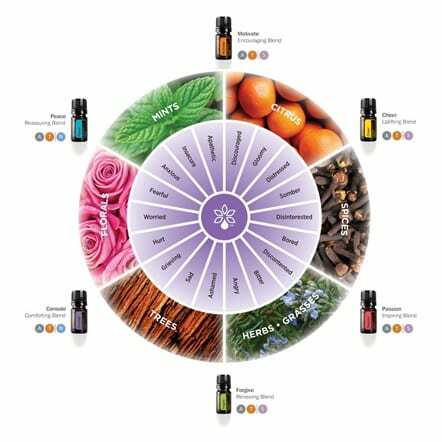 DoTerra has created blends that combine the different elements discussed and make a well balanced blend of the different combinations of wood, leave, flower or fruit. There is no single oil that will work for everyone, for every need. Although, Forgive was found in a recent case study to improve 100% of emotions, 100% of the time. Personally, I do find it to be a go to for neutralizing my emotions. But whether you resonate with a single oil, a combination of oils or the ready to go blends, there is an oil that can help you find that balance to your emotions and help live a more stress free lifestyle. Do You Suffer From NES?